To understand and more creatively capture the social world, visual methods have increasingly become used by researchers in the social sciences and education. However, despite the rapid development of visual-based knowledge, and despite the obvious links between human movement and visual forms of understanding, visual research has been scarce in the fields of physical culture and physical education pedagogy. This groundbreaking book is the first to mark a "visual turn" in understanding and researching physical culture and pedagogies, offering innovative, image-based research that reveals key issues in the domains of sport, health, and physical education studies. Integrating visual research into physical culture and pedagogy studies, the book provides the reader with different ways of "seeing", looking at, and critically engaging with physical culture. Since human movement is increasingly created, established, and pedagogized beyond traditional educational sites such as schools, sport clubs, and fitness gyms, the book also explores the notion of visual pedagogy in wider physical culture, helping the reader to understand how visual-based technologies such as television, the internet, and mobile phones are central to people’s engagement with physical culture today. The book demonstrates how the visual creates dynamic pedagogical tools for revealing playful forms of embodiment, and offers the reader a range of visual methods, from researcher-produced photo analysis to participatory-centred visual approaches, that will enhance their own study of physical culture. 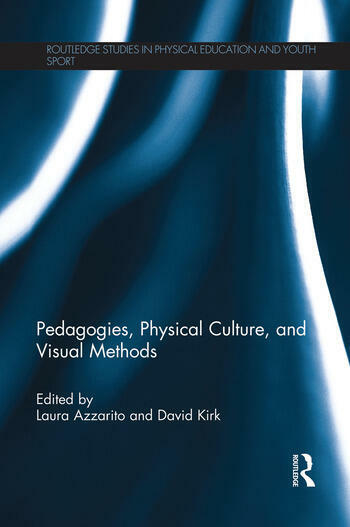 Pedagogies, Physical Culture and Visual Methods is important reading for all advanced students and researchers with an interest in human movement, physical education, physical culture, sport studies, and research methods in education. Laura Azzarito is an Associate Professor of Education and Physical Culture at Teachers College, Columbia University, USA. Her visual research examines the links among young people’s construction of the body, identity, and inequality issues from a pedagogical and sociocultural perspective. David Kirk is Alexander Chair in physical education and sport at the University of Bedfordshire, UK. His research includes analyses of photographs as a dimension of curriculum history. He continues to develop his earlier work on popular physical culture and the social construction of the body in and through physical education and youth sport.